Interior Systems Done Right. On Time. Whether the job is tenant improvement or new construction, carpenters with the proper training assist in identifying and solving problems before they become costly or delay progress. 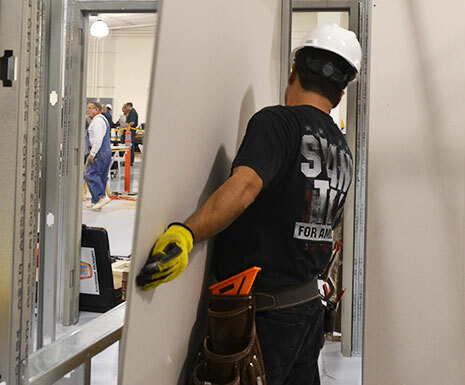 Only one group has the skills and experience to deliver these results: Interior systems professionals from the Florida Regional Council of Carpenters. New Construction: It’s About Time. Attention to detail is an important aspect of our partnership with project management. From meeting schedules and solving mid-stream problems to doing accurate work that eliminates lengthy punch lists, our members focus on doing the job right, the first time. Tenant Improvement: It’s About Customer Service. We protect furniture and flooring, adjust work schedules around office hours, and identify the best alternative restrooms, break areas, entrances, and egresses to use so that your tenant’s clientele are not disrupted by our traffic. Experience. We are versed in metal framing, firestop, layout, access floors, drywall applications and finishings, acoustical ceilings, framing, doors and hardware, solid surface, flooring, lathing, clean room construction, architectural finishing, and more. Flexibility. Disciplined crews are available to work non-traditional hours to keep an occupied space in business during the typical work day. Efficiency. Working around tenant space is done as quickly and in the smallest work area possible, to ensure that tenant belongings are not affected by debris or material handling. Professionalism. We arrive at your job site with a professional appearance and act in an appropriate manner, especially around your tenants. Infection Control The UBC has an exclusive training and certification program for work inside healthcare facilities. Our crews understand ICRA protocol, how to contain dust and pathogens during work, and how to protect patients, staff, and themselves from dangerous situations. We offer customized training if a project needs it, and we provide training onsite, if that’s what it takes. 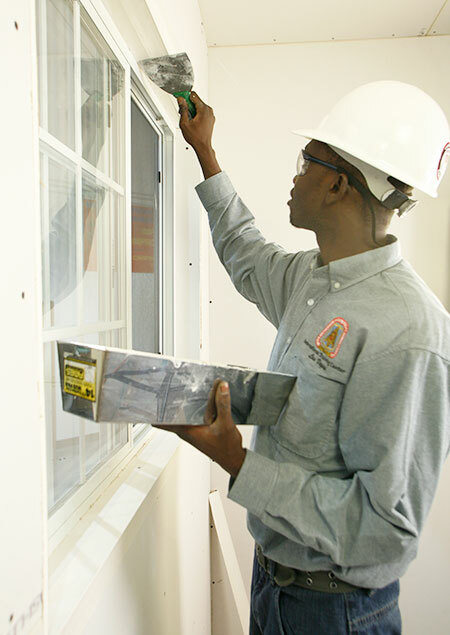 We pride ourselves in placing the most productive craftsman on your job site. Make a Sound Business Decision By placing Florida interior systems professionals on your project, you are avoiding the hassle and expense of recruiting, hiring, and training workers. Prevent scrambling to find interior systems professionals with the proper qualifications that your job site calls for, and place the assignment in the hands of skilled, productive crews. By requiring Florida interior systems professionals, you’ll quickly benefit from our commitment to keep you competitive and profitable. Today’s Florida Carpenter is hard working, safe, skilled, and brings a professional attitude to every job site. We Build. On Time. Every Time.